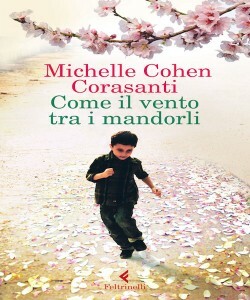 Michelle Cohen Corasanti says Khaled Hosseini inspires her writing! 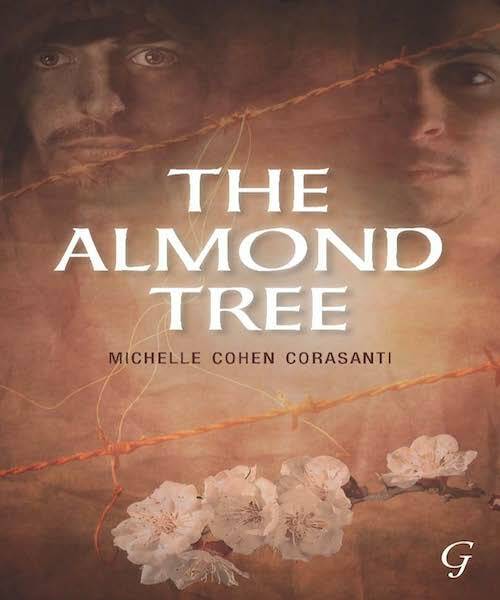 Michelle Cohen Corasanti has become a name to be reckoned with in the literary world since the publication of The Almond Tree. Here, Bookish team member Vanathi Parthasarathi talks to her about her personal connection to writing, the Israeli-Palestinian conflict and of course, The Almond Tree. 1. The Israel-Palestine conflict is a controversial topic. What made you choose this as a theme for your first book? I didn’t choose the theme, the theme chose me. Like many teenagers who want independence, my instincts for freedom made my strict parents’ hold on to me so tight that I felt smothered. The only way I could get away was to persuade them to send me to Israel. I was sixteen and thrust into a world I knew nothing about. What I didn’t realize was that it was the end of my childhood innocence. When I went to Israel I had no idea what Palestine was and I lived in Israel for three years before meeting a Palestinian. During the seven years in Israel, I came to learn that another narrative existed, one quite different from the one I was taught. I went to Israel for fun and freedom from parental control but became the witness who sees what she doesn’t want to see. During the last eighteen months I was in Jerusalem, when the intifada broke out. I rented an apartment in Wadi Jose, in East Jerusalem, with a Palestinian friend, and had a front row seat to the violence. All I wanted was to try and find a way to make it stop. I returned to the US desperate to tell people what was really going on over in Israel, but no one cared or even believed me. For years I tried to find a way to reach people, all to no avail. Then I read The Kite Runner and realized a writer can reach into readers’ hearts. That’s when I became a writer. 2. Tell us a little more about your personal experience with the Israel Palestine conflict. How has it made an impact on you? We as Jews know what Zionism meant for us, but we aren’t taught what it meant to the Palestinians. In Israel, I witnessed and learned the Palestinian narrative and what Zionism meant to the Palestinians and I have never been the same since. I carry with me every day the awareness of the horrors the Palestinians have suffered and continue to suffer. I realize now that the Palestinian narrative is also part of my story. In my novel, the almond tree witnesses what happens to the Palestinian characters I write about. I have come to see that I too am a witness, an almond tree. 3. When you started with The Almond Tree, had you already planned to end it the way it did or did you just let the plot flow and decide? I never planned to end The Almond Tree the way I did. But after the war of Gaza and the humanitarian catastrophe that exists there, the story took on a life of its own. 4. You have beautifully portrayed the guilt that Ahmed feels when he sees his countrymen suffer while he lives the American dream. Is this a culmination of your emotions? You may not have been born in Palestine but you did stay in Jerusalem for some time. For me the conflict is not about religion, race, the color of one’s skin or nationality. It’s about being human and as such, the Palestinians are my people, as well. Are we not all of us, human beings? Those who are aware of suffering cannot forget what they saw or the ones they left behind. I wrote this book for the ones I left behind. 5. Did you expect a critic as severe as that of Susan Abulhawa’s? How has the response from other authors been? Good question. Being Jewish, I was allowed to reside in Israel for seven years so I was able to live with and among Palestinians from inside the country. I returned to the US to attend graduate school at Harvard where I met and married a Palestinian from Israel. I lived in his village in the summer. In addition, I took Middle Eastern studies for nearly a decade. I wrote about what I witnessed, learned and lived. Israel treats different Palestinians differently. 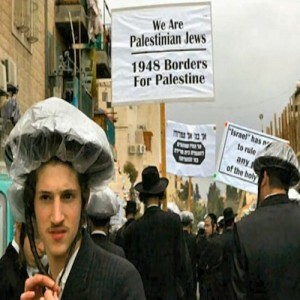 The Palestinians from Israel have Israeli citizenship although there are over thirty laws that discriminate against them as well as an entire culture of discrimination. Nevertheless, they are treated better and differently than other Palestinians under Israeli control. When I lived there, it was against the law for any Palestinian from Israel to have contact with any Palestinian who was associated with what Israel considered a “terrorist organization “ and one never knew who Israel would consider associated with such organizations. Out of fear, Israeli Palestinians didn’t have much contact with Palestinians abroad. I witnessed how Palestinians from Israel were treated and I could not stay silent in the face of such suffering and injustice. I always welcome constructive criticism as it helps one grow Although Susan is of Palestinian blood, she has never lived inside Israel. She has lived the vast majority of her life in the US where she still lives. As a result, I believe that Susan’s review is, largely based on factual inaccuracies. One major inaccuracy is that Susan claims my protagonist is from the West Bank when he is clearly from inside Israel. For more than the first hundred pages, from 1955-1966, his village was ruled by Israeli martial law. Israel didn’t occupy the West Bank until 1967 so he had to be from inside Israel. The majority of Palestinians who live inside the country were ruled by Israeli martial law until 1966. I understand Susan’s frustration, but I believe we are on the same side working for the same cause. I do not want to attack her, but I think it’s important to clear up her factual inaccuracies that might confuse readers: here is a link. Her misunderstanding of my book may come from the absurdity of a situation in which a Jewish woman is able to live in Susan’s homeland. Something she is not allowed to do. As a result, I was a daily witness to the lives of Palestinians inside Israel, I trust readers will decide for themselves once the factual inaccuracies are cleared up. Palestinians suffer everyday under Israel and I did my best to write an honest story. Daily, I receive letters telling me how The Almond Tree has changed their point of view towards the conflict. I don’t advocate hate because I don’t believe that is the answer. Through my book I try and create awareness because awareness leads to empathy and understanding and understanding leads to change. I try and show a better way for all. I believe that all who write about what is happening to the Palestinians can work together to shine a light and not waste time attacking one another. First and foremost we must try and bring about positive change. I hope one day Susan and I will be able to stand together as well. Authors and people all over the world who have read The Almond Tree support me. Interestingly, many from the east state that my Ahmed stands tall on his own and know that Susan’s review says more about her than it does about me. One wise man said I should just smile because anything else would look like a rebuttal and would diminish from my novel. People in the west feel I must address all of Susan’s factual inaccuracies. From what I can tell, in the east, when one says the truth, and they are attacked, they don’t defend it. In the west, the only time we don’t defend the truth is when we are caught in a lie. I am caught in the middle of a cultural clash. I have tried to take the eastern advice, but I know that people in the US are ignorant of the truth so I have addressed Susan’s factual inaccuracies for those who don’t know the truth when they see it. After all, a big contributor to the Palestinians’ suffering is American ignorance and indifference. 6. If you think of changing one thing in The Almond Tree, what would it be? The original cover since I have seen the Spanish, Italian, Catalan and Dutch covers and they are of a little boy. I think that’s more effective. 7. Who are your influences when it comes to writing? 8. Your top 3 favorite books and why? 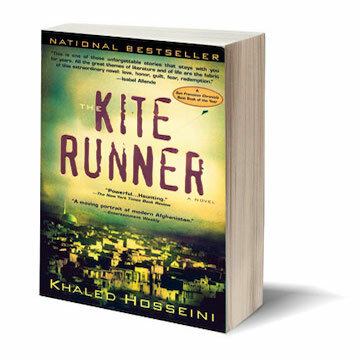 The Kite Runner because it inspired me to write The Almond Tree. The Reluctant Fundamentalist because after living in Israel, I could relate to many of the issues of discrimination, easterner in the west, racism, awareness of US policy and I loved the way it was written. Blue Sky July about a mother’s love for her disabled son. 9. What’s next on the agenda? I’m completing my next novel. Thank you, Ms. Corasanti, for taking time out of your busy schedule for this interview with IndiaBookStore. We wish you all the best for your future endeavours. You can find more on The Almond Tree on Bookish, as well as the book’s website. Follow Michelle on Twitter for the latest on that next novel! Very good author she is……………Very nice effort………..
A strong willed authoress and a story on the trails of my all time favourite “The Kite Runner”! This book really seems to have touched a chord with lots of people… glad you liked it too!